Seemingly from the year dot Madame Tussauds London has continued to attract visitors for a chance to get up close & personal with their favourite stars. Here is a perfect spot for a selfie as you indulge in a spot of celebrity spotting. 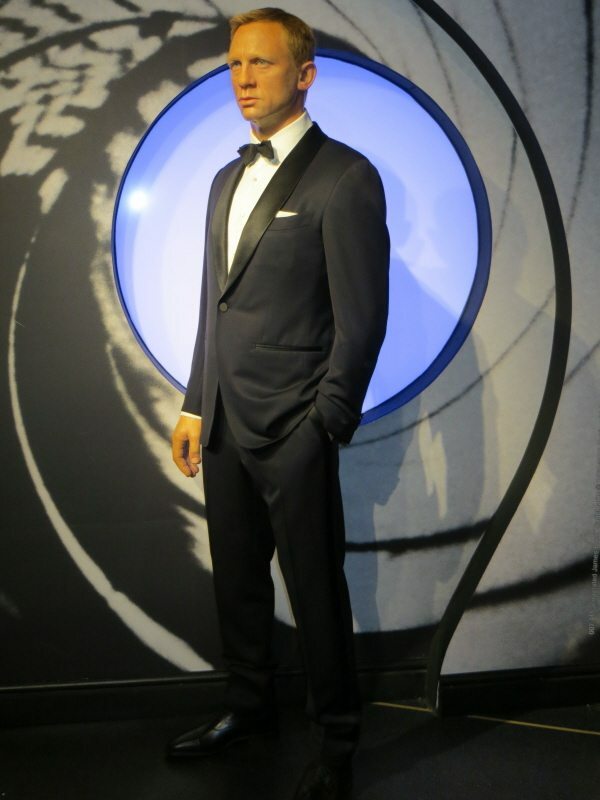 We’ve put together a few top tips to help you get the most of your visit to Madame Tussauds London including cheap ticket offers & money saving ideas. Top Tip; it can be worth Booking Online at Madame Tussuads – save up to £6pp off standard price tickets that guarantees entry plus offers timed ticket entry, (see below for further details). Take advantage of Timed Ticket Entry to Madame Tussauds when you book online that not only guarantees entry but helps you reduce you wait time. Whilst timed sessions will not completely avoid the queues, (Madame Tussauds suggest you should anticipate up to a 40 minute wait during peak times), it will substantially reduce your waiting time. More information available at Madame Tussauds London; Timed Tickets. Look out for The Voice UK Experience that is new to Madame Tussauds London for 2017. 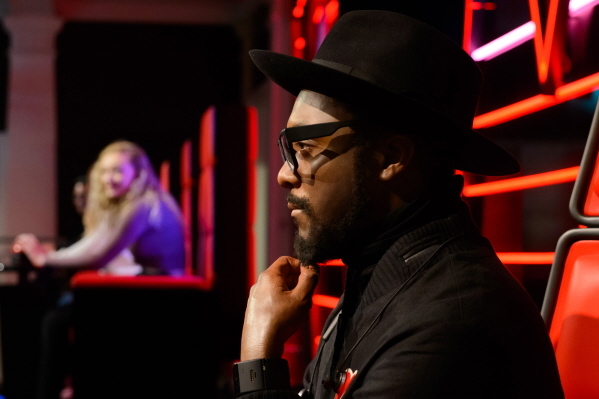 Snap yourself next to Will.i.am in Madame Tussauds latest wax figure before taking on the role of coach in one of the iconic red chairs. This interactive experience has you and 2 other guests deciding which of the contestants goes through to the next round when you push the button. Look out for a range of 2 for 1 vouchers for Madame Tussauds London that offers FREE entry when accompanied by a full paying person. Unfortunately you cannot combine online savings with a 2 for 1 voucher and many do not offer timed ticket entry so worth weighing up the actual savings being made. However it does offer a cheaper option that can be particularly beneficial during off-peak times. You can find more information on available deals over at Madame Tussauds/Merlin Attractions – 2 for 1 Vouchers. Follow our Guide To Cheap Ticket for Madame Tussauds London packed with valid 2 for 1 vouchers, online promotions and joint ticket discounts. Often the best online savings can be found directly with Madame Tussauds with discounts of up £6pp off standard price tickets. Online tickets also offer timed ticket entry plus a dedicated entry point into the setting, (standard ticket holders should anticipate up to a 40 minute wait during peak times whilst premium ticket holders can bypass all entry queues). To book tickets go to Madame Tussauds; Online Savings. For those looking to plan more into their day, look out for fastrack entrance into Madame Tussauds London that allows you to bypass all the entrance queues. This Priority Entrance ticket can only be purchased online in advance and offers a dedicated entrance away from standard ticket holders offering you quick access into this popular setting. Can be beneficial during peak times or for those trying to fit more into their visit to London. More details available at Madame Tussuads London – Priority Entrance. 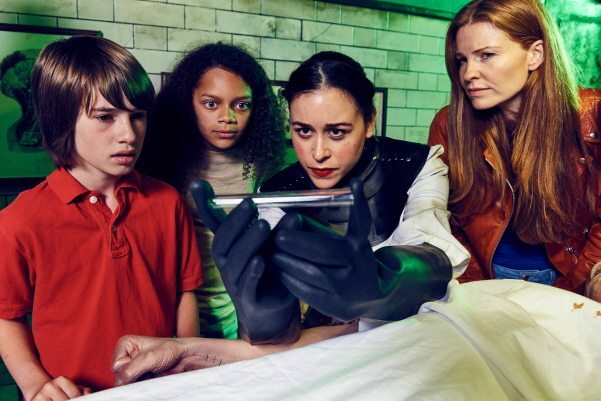 This interactive experience has you turn detective to help Sherlock & Watson solve the latest mystery. As you move between 5 different settings you are met by a range of costumed actors that help set the scene & find clues along the way. Whilst this experience is free for standard & premium Merlin Passholders, there is an additional charge in place for standard ticket holders and, in our view, adds limited value to your Madame Tussauds visit. Find more details available at The Sherlock Holmes Experience. 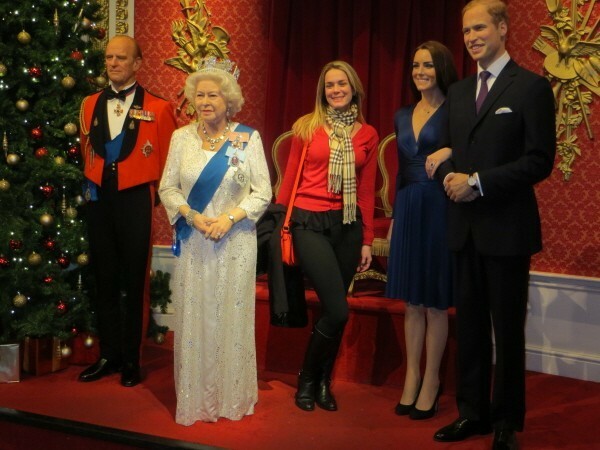 Top Tip; book online at Madame Tussauds London – save up to £6pp that guarantees entry into this popular setting. Timing is everything if you are looking to beat the queues at Madame Tussauds London. If you have any flexibility plan your visit during off peak times or opt for earning morning/late afternoon visit to avoid busy times. Closing times vary at Madame Tussauds so worth checking out the times on the day of your visit and plan accordingly. More information available at Madame Tussauds London; Opening Times. It’s a one way track around Madame Tussauds London with no going back. Your visit starts with a lift to the top floor from where you follow a defined path around the attraction until you leave via the gift shop. This isn’t a setting in which you can wander around freely, so ensure you have seen all that wish to in each area before moving. The great advantage with Madame Tussauds is that you get the chance to get up close & personal with the stars. Whilst you’ll see in-house photographers camping out at some of the most popular attractions, don’t feel that these are off limits to you. You are welcome to take your own photos with ALL of the statues on display at Madame Tussauds. We’ve put together a comprehensive list of Madame Tussauds London Deals including valid 2 for 1 vouchers, online promotions and combination ticket offers. Here’s a chance to pick up discounted entry to 4 of London’s top attractions including Madame Tussauds & the London Eye. The London BIG Ticket is priced at £55 an adult/£45 a child, (3-15 years) and offers entry to 4 top London attractions & is valid for use over a 90 day period that makes it perfect for a trip to London. Your ticket secures 1 entry to all 4 attractions; London Eye, London Sea Life Aquarium, Shrek’s Adventure! London & Madame Tussauds London. More information available at London BIG Ticket Offer. Whilst not usually one for additional cost activities, I’m swayed by the Wax Hands available at Madame Tussauds London. Here’s an opportunity to join the stars & see yourself in wax that works as a perfect centre piece for the dinner table. More details available at Madame Tussauds; Wax Hands. Unfortunately food & drink is not allowed within Madame Tussauds, (there is an M&S food located within Baker Street tube station prior to your visit). You’ll find vending machines & refreshment kiosks located within the attraction, (unfortunately there are no lockers available at Madame Tussuads). Top Tip; to bypass the queues pick up at Priority Entrance Tickets for Madame Tussauds London that offers a separate fastrack entrance into this popular setting. As you enter the attraction, you will be offered a wristband that will log your preferred photos taken by in-house photographers. It can be worth delaying purchases until you have made your way around the setting to avoid unnecessary purchases. This also allows you to take advantage of the current deals running on multiple purchases, (remember you are free to take pictures yourself throughout the setting). There are plenty of ways to secure cheap tickets to Madame Tussauds London including 2 for 1 vouchers, online promotions and discounted combi tickets. 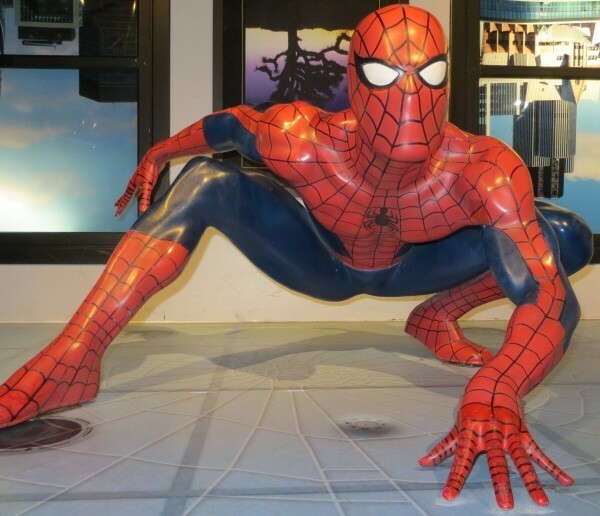 Follow our comprehensive guide that gives you the low down on the best prices for a visit Madame Tussauds London. More information available at Madame Tussauds Deals & Discounts. This entry was posted on Sunday, February 12th, 2017 at 3:52 pm	and is filed under Madame Tussauds London. You can follow any responses to this entry through the RSS 2.0 feed. You can skip to the end and leave a response. Pinging is currently not allowed. Take advantage of cheap ticket options for Madame Tussauds London including online promotions, 2 for 1 vouchers & combo ticket choices. Follow our guide to Madame Tussauds London packed with top tips to beat the queues and money saving ideas to help you get the most from your visit. Follow our top tips for taking photos at Madame Tussauds London to help you take the best selfies ever! Follow our top tips for accommodation in London to help you quickly find the perfect choice. Follow our money saving ideas to enjoy views over London for those on a budget.